Perfect as a pop concert closer, the music of Freddie Mercury and Queen will wow a new generation of listeners in this 5-minute Discovery series medley. 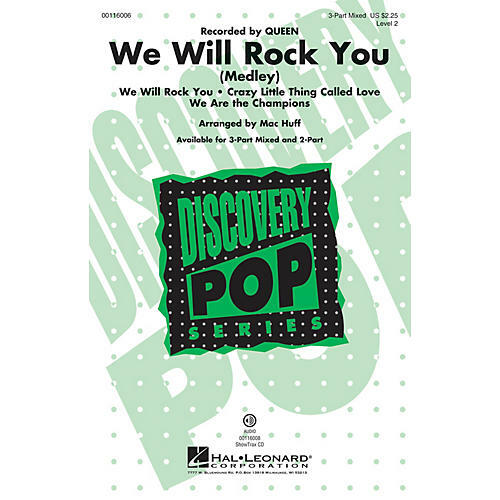 Songs include: Crazy Little Thing Called Love, We Are the Champions, We Will Rock You. Available separately: 3-Part Mixed, 2-Part, ShowTrax CD. Duration: ca. 4:40.